Add the carrots, celery, broth, rice, salt, pepper, and seasonings to a 5- or 6-quart slow cooker. 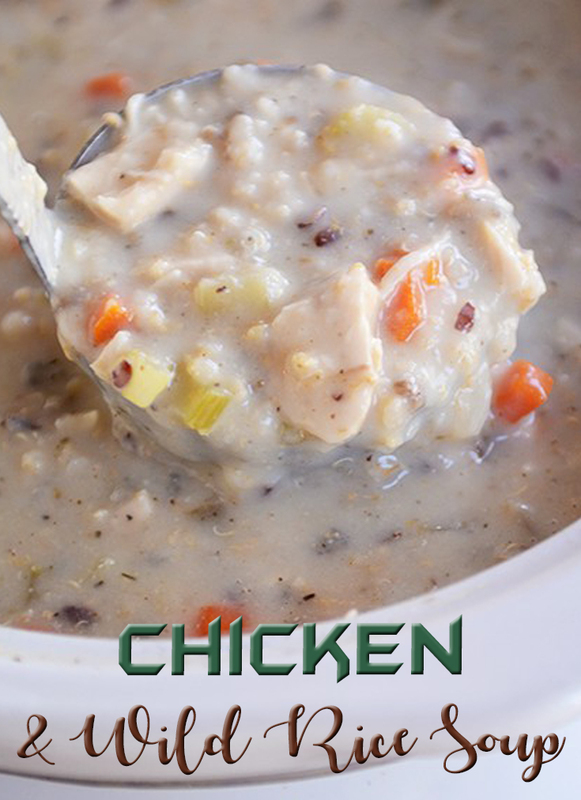 Nestle the chicken into the broth mixture, cover the slow cooker and cook on low for 7-8 hours. Whisk together the milk and flour until smooth (use a blender if you really want to minimize lumps). Stir it into the slow cooker, whisking well to combine. Add the chicken and frozen corn; cover and cook on high for another 30 minutes to an hour until the soup is thickened and creamy. You can add more broth a little at a time to thin out the soup if needed (the thickness will depend a lot on the type/brand of rice used). Season the soup with additional salt and pepper to taste and serve. The soup will thicken more as it rests off the heat.